Billionaire geek Tobias Henson has it all. Only he doesn’t. He works all the time at his company in Atlanta, and these days, there’s no woman in his life except his mom. His secret burden means he couldn’t be there for her, either, when she was hospitalized with pneumonia. 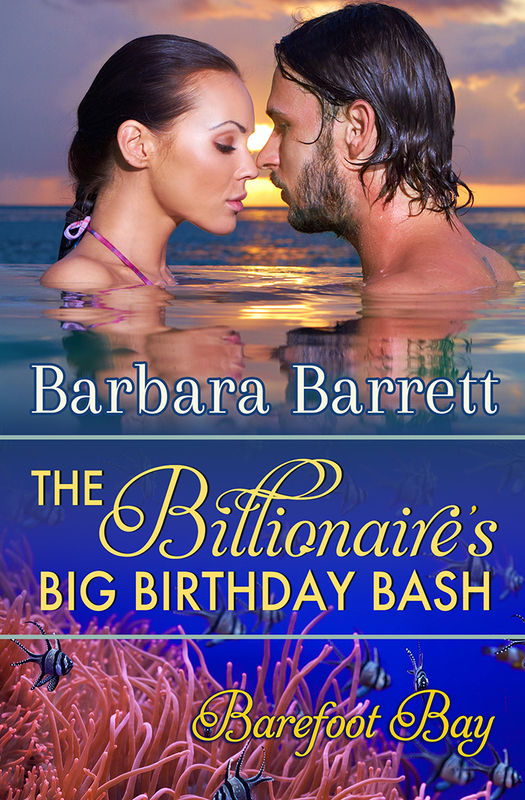 Intent on making up for his absence, he volunteers to throw a grand birthday party for her at Casa Blanca Resort & Spa that leads him right to the girl he grew up with on Mimosa Key—the girl who’s turned into a gorgeous woman with an adorable son. Michaela Tierney has worked hard to get her life back in order after her police detective husband’s death, putting aside a career in marine biology to take her young son back to her parents’ home in Mimosa Key. Her event-planning business is starting to take off, and her newest customer—brought to her by Tobias’s gently contriving mother—promises to launch it into the stratosphere. Only her newest customer is the guy she couldn’t forget from her school days, a billionaire whose interest seems more than professional. But will an entanglement with Tobias threaten the fragile stability she’s finally achieved in her life? While Michaela corrals a passel of persnickety mah jongg players for the big birthday tournament, Tobias longs to prove his passion for the lonely widow. But a perfect interlude turns into a troubled aftermath as they question motives and unravel each other’s secrets. Can Tobias prove there’s heart where there’s also heat? And will Michaela take a second chance on love—not just her love of the sea, but a shot at forever with the boy next door?